Further to the picture (see below) of the widening of the road next to John Lund Ltd in 1937, they were in their Centennial Year as owned by Clapham Brothers but there had been manufacturing on that site for about 120 years previously. John Lund Ltd made all manner of machine tools before the takeover in 1932. It was said that John Lund's owed Clapham Brothers a lot of money for castings and Clapham Brothers took them over in payment of the debt even though John Lund Ltd also had a foundry, I believe. 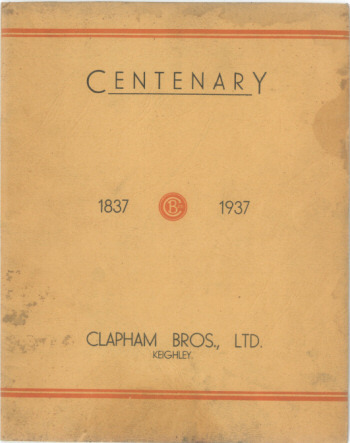 Below is a PDF file of the Centenary booklet produced at the time and an invitation card for Mr & Mrs A Overend to attend the celebrations. Although not in Sutton, many people that lived in Sutton worked at the factory and still do. With thanks to Brian Clough. April 2013. My great, great grandfather, William Clapham, who lived at Browfield, Spring Gardens Lane, Utley, was one of three brothers who established the firm just after Victoria came to the throne. 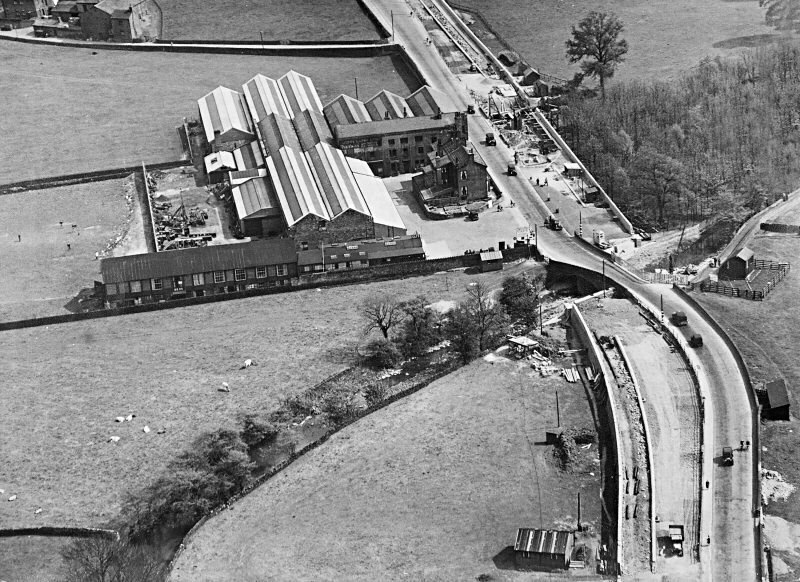 When I was a young child my father used to tell me about the Eastburn works, which Clapham Brothers owned, when we were on the bus heading for a day out in Skipton. 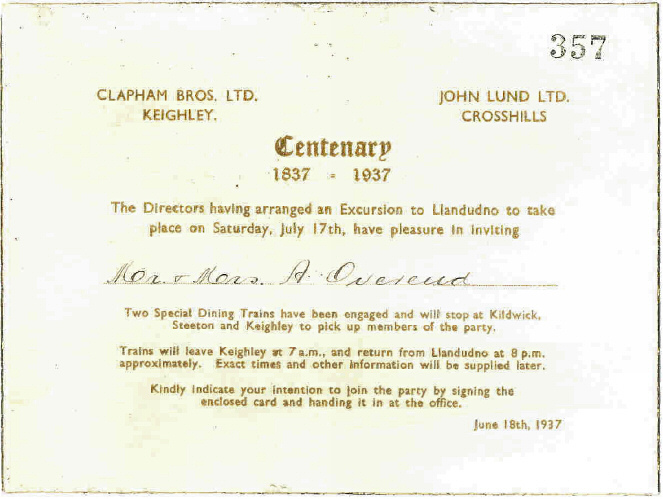 The excursion to Llandudno on Saturday, 17 July, 1937, to commemorate the firms 100th anniversary, appears to have been a well-planned day out. Two trains had been hired and employees were given a coach letter in order to prevent any confusion on the platform. Departure time was 5.10am, with pick ups at Steeton (5.18am) and Kildwick (5.26am). Arrival time was given as 9.35am. Departure from Llandudno was 9.15pm, with an arrival time in Keighley at 1.48am on Sunday morning. A very long day out! Lunch was served at Payne's Caf� Royal on Mostyn Street, Llandudno at 12.30pm. And on the return journey at hot supper was served on the train. Suggestions for passing the time at the resort included a trip to the top of the Great Orme to see the wonderful views of the Welsh Hills and coastline.